1. What is the simple definition of a computer? Does it have to be an electronic device? A simple definition of a computer is any device that can perform functions like addition and subtraction, accept numeric inputs and communicate results. A computer does not have to be an electronic device because it's anything that can communicate results such as people and calculators. 2. 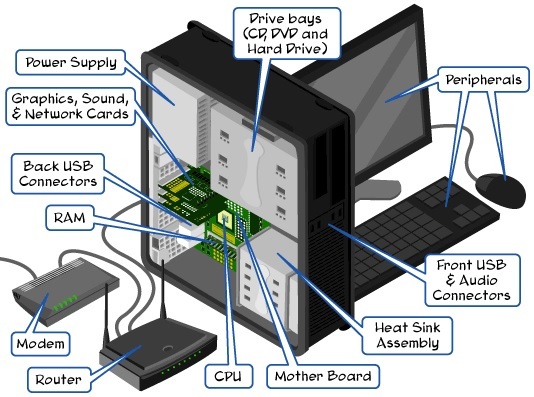 What are the major components of a typical computer? How do these components interact to perform four major functions of a computer? The major components of a computer are a general purpose processor, large storage capacity and flexible communication capability. First the user will enter information through the CPU, via keyboard or mouse, and the command gets broken down by the processor such as a math problem. Then there is system bus to figure out the math problem in the processor and it finally gets put safely into storage and the output would be the answer to the math problem. 3. What are the basic components that make up a computer network? 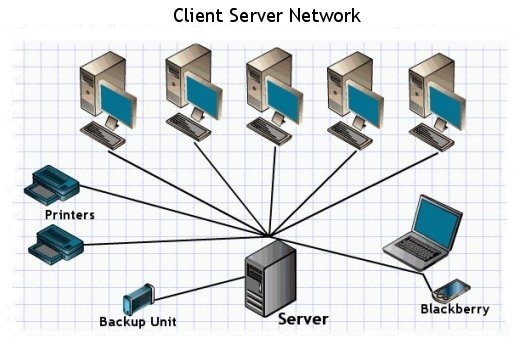 The main component of a computer network is the server which allows a group of computers to share the same information. There is also network software such as email distribution software and web server software. Some types of hardware that make up a network are interface cards, switches and routers. You can also get Wordpress Hosting that has a cloud based network. 4. How do base ten, octal, and hexadecimal numbering systems relate to binary? Why are binary numbering systems so prevalent with computers? All of the numbering systems are very similar. The base ten, octal and hexadecimal were created to shorten the long binary bit strings. Binary uses the base-2 while octal uses base-8 and hexadecimal uses base-16. The binary numbering system is much more reliable when processing numbers and equations through a computer. 5. What is a CPU? How does it process numbers? A CPU is a Central Processing Unit that processes numbers through the Arithmetic Logic Unit. The control unit accepts and sends the numbers that are stored in registers to the user of the device. Getting the numbers faster will require additional RAM. 6. List and describe two limitations that exist in mechanical computation devices. Two limitations of mechanical computation devices are their complex design cost and the amount of maintenance that needs to be done. There is a lot of wear and tear in say, a clocks pendulum and gears that causes them to constantly break. 7. Explain the procedure to convert a binary value to its decimal equivalent. 8. List and describe the two functions that the system software must perform if a computer system makes its local resources available to other computers. System software must translate user requests into CPU instructions and satisfy the results to the user. System software is general purpose and supports many applications. It allocates resources to programs and to hardware. It also manages all computer resources. 9. 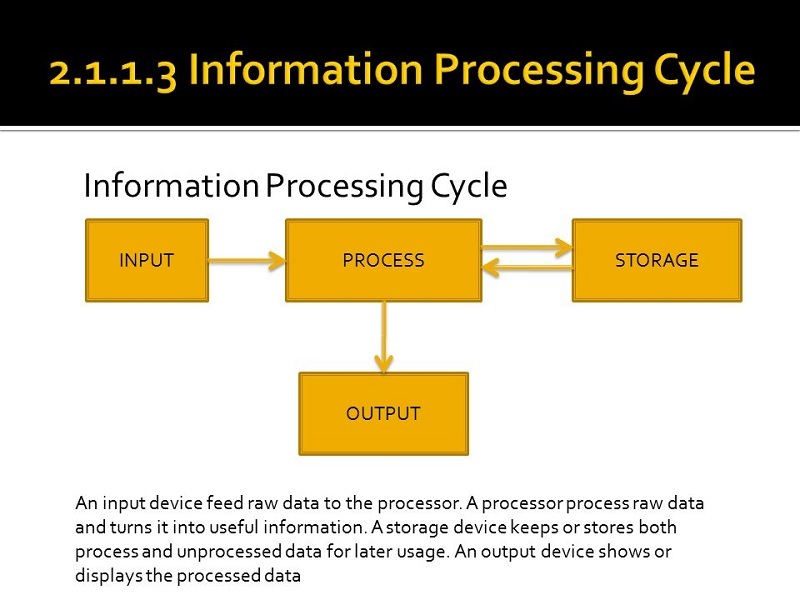 List and describe the two capabilities that any data and information processor must have. Information processors must be able to perform computation, comparison and data movement to and from storage. The user will give the processor instructions and it should be able to pull in and translate the instructions, compute the problem, translate it back and execute the results to the user. Some processors have a specific task only which are known as special purpose processors. 10. Explain why computers represent data with binary numbers. Computers represent data with binary numbers because computers use Boolean Logic. Old mechanical devices used a pendulum and gears compared to computers accepting electronic signals. The electronic signals can be either positive or negative representing a 0 or 1. That gives computers the ability to use binary to convert the 0's and 1's to numbers and letters. The computer can't understand that the user hit "P" on the keyboard directly, it needs to be translated in the CPU.